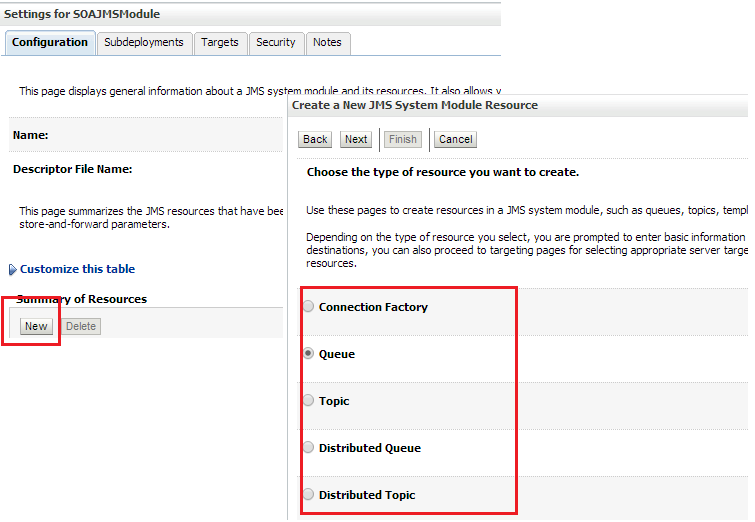 In this post, I will show you how to create JMS queue on standalone and cluster server. 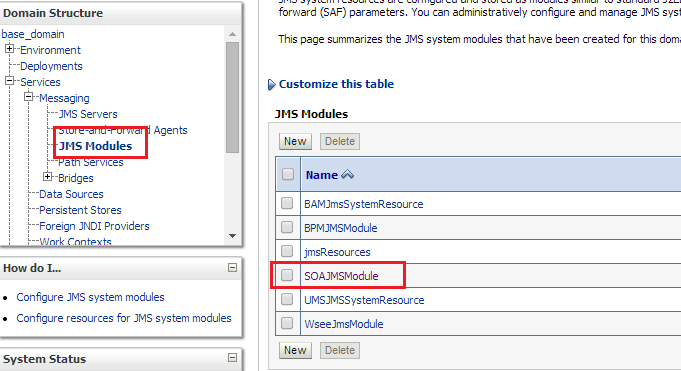 Go to Services --> Messaging --> JMS Modules and click on "SOAJMSModule". You can choose custom module if you have created any. Under "Configuration" tab click on "New" to create new JMS queue. 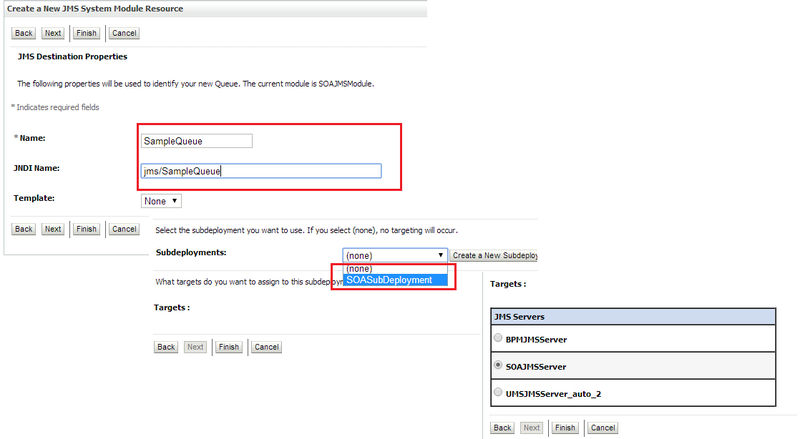 Choose "Queue" if you are having standalone server and choose "Distributed Queue" in case of cluster server. Provide name to JMS queue and JNDI for queue. Select the sub deployment and target. Once you are done with above step then you will see new queue under resources.